The Ever-Growing Vegan Holiday Cookie Book! | Eat. Love. Namaste. I’m super excited to announce that the first edition of my Vegan Holiday Cookie Book has released and is available for purchase! I have wanted to create this cookie book for the past two years but never made the time actually to do it. This year, I told myself that I would make it happen, and look at that, it happened! I originally wanted to make this a single, one-time cookie book, but then came to think, how cool would it be if this was an ever-growing cookie book? Meaning that every year, new cookie recipes will be added, and those who bought the e-book would be notified automatically when the new edition is released. It’s like a magazine filled with cookie recipes, but digital and cheaper. Pretty cool, eh? I think so! All recipes are vegan, and some are gluten-free. In the Pantry Essential section, it will list all the ingredients used in the book and even recommend brands that I prefer to use when baking delicious vegan cookies. If you are a cookie fanatic or want to try new cookies that are made simple and plant-based, then this book is for you! In the 2018 edition, over 13 vegan cookies were created for this holiday season. 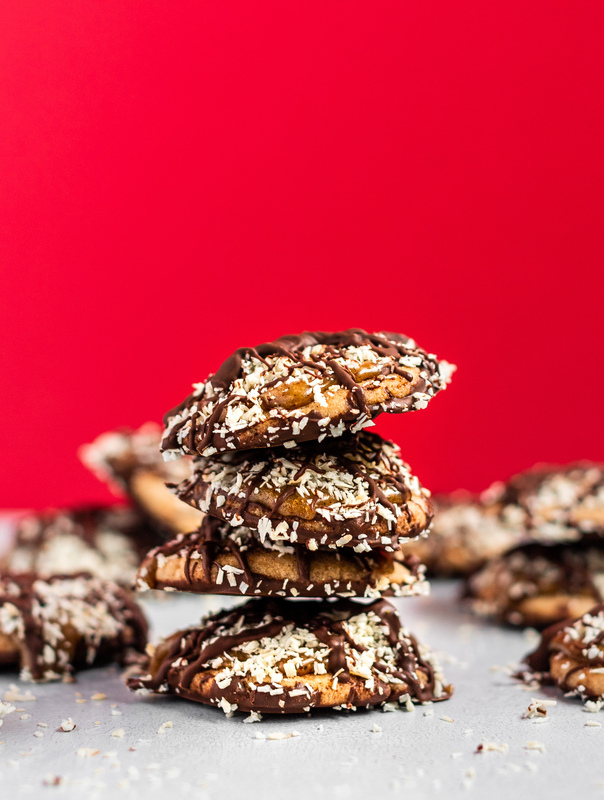 Each cookie was tested numerous times by friends and family members, and suggestions were received to bring the most satisfying and tasty cookie to life. As this is the launch of the cookie book, I wanted to mark the book at half-price ($6.99) the first year. Next year, the price will go to its standard price of $12.99. Every year, between 5-10 NEW cookie recipes will be added at no additional cost to previous buyers and they will be notified automatically when the new edition is released.